GMETRI is looking to bridge the gap between online and physical store shopping by building a VR experience with 3D models and multi-product displays. Very soon, when you shop on BigBasket, you can go to its virtual reality (VR) store, look around and browse products like you would in a physical store, click on a product displayed on the shelves and check its details, with a 360-degree view as well. In a bid to bring back product discovery to the e-commerce platform and increase sales, BigBasket is set to launch virtual reality stores on its app across the country, giving customers the opportunity to browse, discover and purchase products similar to how it’s done in a physical store. The VR experience is only available to customers in Bengaluru as of now. What’s interesting is that this VR store has been developed by a Bengaluru-based VR startup GMETRI. 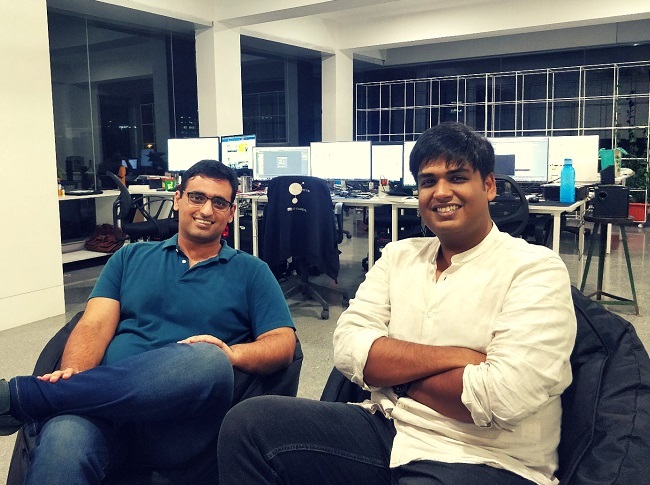 The startup, founded by Utsav Mathur and Sahil Ahuja in February 2017, builds platforms with immersive Virtual and Augmented Reality experiences online that work on all devices. A T-Hub startup, it has offerings for the retail segment as well as in the employee training segment. 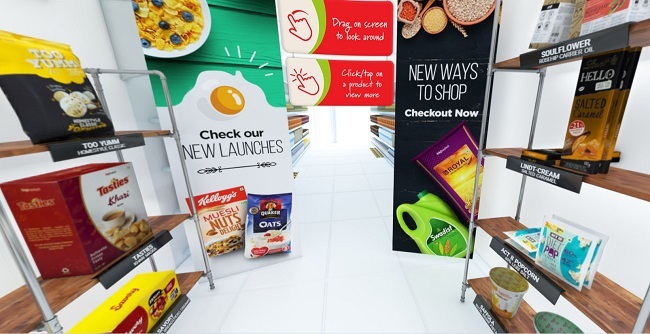 Under retail, GMETRI looks to bridge the gap between online shopping and real-life physical store shopping by building a VR experience with 3D models and multi-product displays, as is the case with BigBasket’s VR store. Customer engagement is something that online stores struggle with, be it ways to ensure a customer stays longer on the app or ensure product discovery happens on the app. For this purpose, BigBasket is looking at VR. Apart from giving users a store-like experience, GMETRI’s VR platform gives BigBasket insights into consumer behaviour that helps it improve user experience. GMETRI gives insights such as real-time population, analytics and gaze detection. This helps the company understand which products people find interesting, and which ones aren’t doing well. “With gaze data capture, you gain valuable insights by observing the users' movements and actions inside the VR experience,” Utsav says. He adds that the pilot run in Bengaluru with newly launched products saw immense response. “The kind of numbers we reported from the pilot are amazing. We saw an exceptional bounce rate, which means that every user stays on the app for a longer time and the engagement factor is very high. We have successfully proven this with over 10,000 users,” he adds. GMETRI is now set to roll out the VR store nationally to all BigBasket customers very soon with select products. And not just BigBasket, across both its verticals of retail and training, GMETRI is working with 25 paid clients, which includes big names such as Reliance Digital, Reliance Jio, Zoomcar, Marico, DXC Technologies, Bosch, Café Coffee Day among others. Under the training vertical, GMETRI creates VR training modules for the workforce of its clients to increase engagement and provide analytics on the performance of employees.